Dyeing To Color Your World! 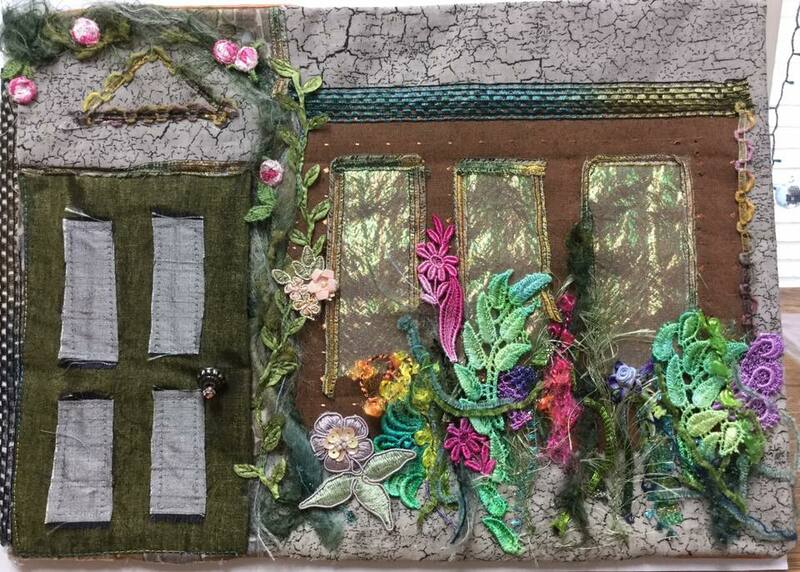 Fantasy Fiber Art is a gallery and studio for the fiber art of Mary Schwarzenberger. Featuring art quilts, wearable art garments, accessories, and classes. Fantasy Fiber Art features hand-dyed garments and accessories and fabric jewelry. 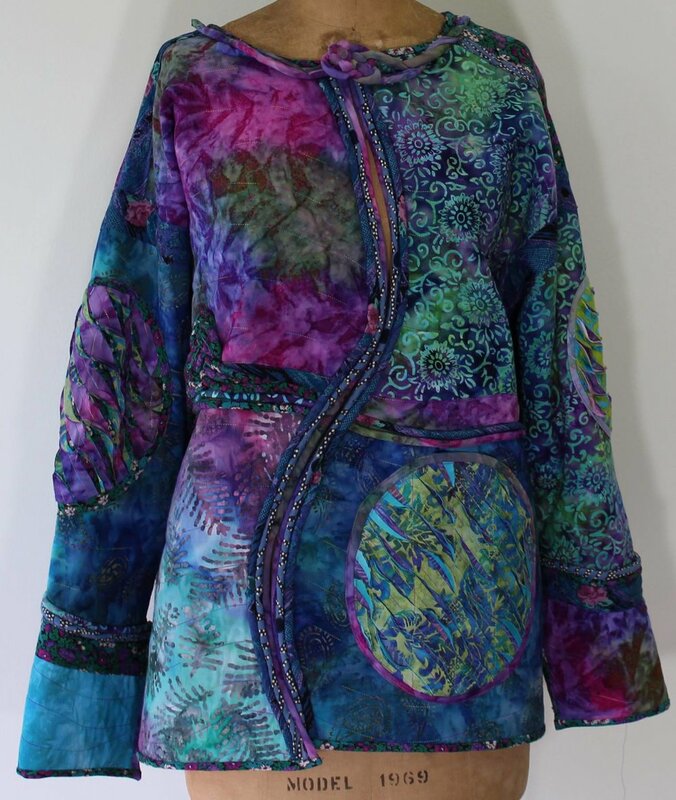 Wearable art jackets created from sweatshirts have won awards in national competitions. These colorful and vibrant works of art are embellished with fabric manipulation, piping, button knots, and lace. Art quilts are based on traditional quilts, but incorporate painting, hand-dyed fabric, and a variety of methods and materials. Fabric vessels and bowls, thread lace bowls and ornaments are available. Fantasy Fiber Art offers a range of creative classes, including fabric dyeing, sewing, art quilting, and mixed media. No artistic ability required! Check out of classes page for more info. One or two day workshop. Concentrate on one or both projects. It's a two-day workshop, but you can register for only one day if you'd like.